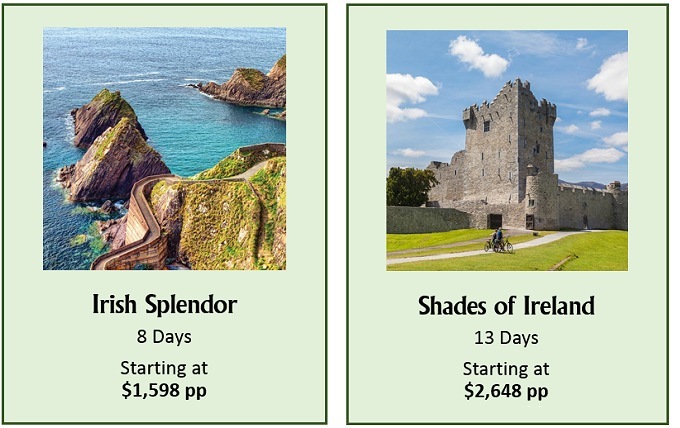 Travelers can save BIG on these air-inclusive tours to Ireland. But hurry, the low, low rates are only good through March 18 for set departure dates in October and November. Experience all of the rolling green hills, picturesque villages, stately castles, cozy pubs and friendly people that Ireland has to offer. There’s never been a better time than right now. Enjoy a sightseeing tour of Dublin, then journey to historic Blarney Castle where you can kiss the famous Blarney Stone. Tour Ireland’s most majestic coastal route – the stunning Dingle Peninsula. Learn the process of whiskey making and enjoy a tasting of the final product during a visit to a historic distillery. Savor this 8 day trip that combines fabulous accommodations, stunning scenery and sumptuous food. Or spring for the 13 day version and take in St. Patrick’s Cathedral and the Waterford Crystal Factory where you’ll learn how exquisite crystal has been made for centuries. Visit the Medieval Museum for a guided tour and glass of wine in the 15th-century Mayor’s Wine Vault. Walk along the Cliffs of Moher, one of Ireland’s most iconic sites, soaking up unparalleled views and snapping incredible photos. 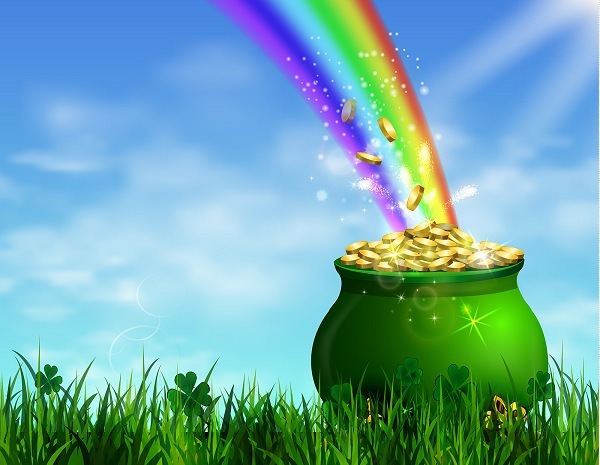 Find just the right Irish excursion for your taste and budget! Above rates are valid for new economy class air inclusive bookings from select air gateways made from 3/9/18 – 3/18/18 on specified departures. Published pricing is per person based on double occupancy and includes land, $99 round-trip air, taxes & fuel surcharges from the gateways specified. Your rates are subject to change until paid in full. Seats are limited and may not be available on every flight or departure date. ELIGIBLE GATEWAYS: New York (NYC), Boston (BOS), Philadelphia (PHL), Baltimore (BWI), Washington, D.C. Metro (WAS), Charlotte (CLT), Atlanta (ATL), Miami (MIA), Austin (AUS), Chicago (ORD), Cincinnati (CVG), Dallas (DFW), Detroit (DTW), Houston (IAH), Orlando (MCO), Memphis (MEM), Minneapolis (MSP), Pittsburgh (PIT), Raleigh-Durham (RDU), St. Louis (STL), Tampa (TPA), Denver (DEN), Las Vegas (LAS), Los Angeles (LAX), Portland (PDX), Phoenix (PHX), San Diego (SAN), Seattle (SEA), San Francisco (SFO) and Salt Lake City (SLC).